A retired Calgary police officer says he feels a sense of closure after finally getting a chance to memorialize his partner, who died in the line of duty nearly five decades ago. That partner was his police dog, Pharaoh. 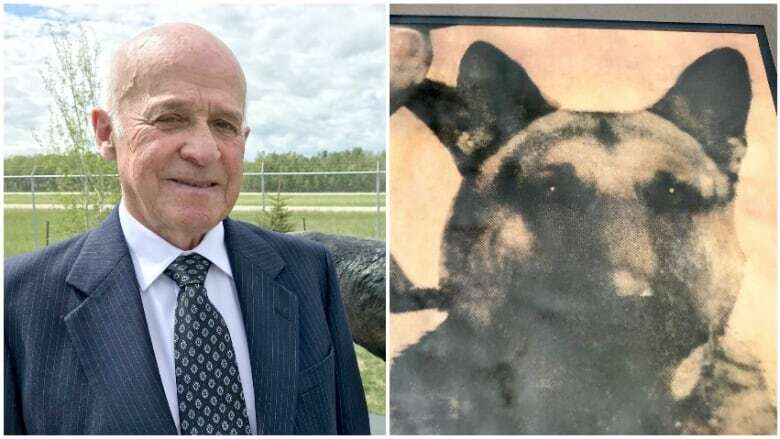 Herb Craig says it was difficult to contain his emotions as he helped unveil a small plaque to honour his canine partner at the RCMP Police Dog Service Training Centre in Innisfail on Wednesday. "I felt very proud to be a canine officer and I felt quite devastated when I heard that he had died," Craig said. Pharaoh died on Oct. 19, 1969, after falling off a Calgary rooftop as the two were searching for a suspect. Police say no record of the dog's death existed until Craig pointed out the oversight last year. 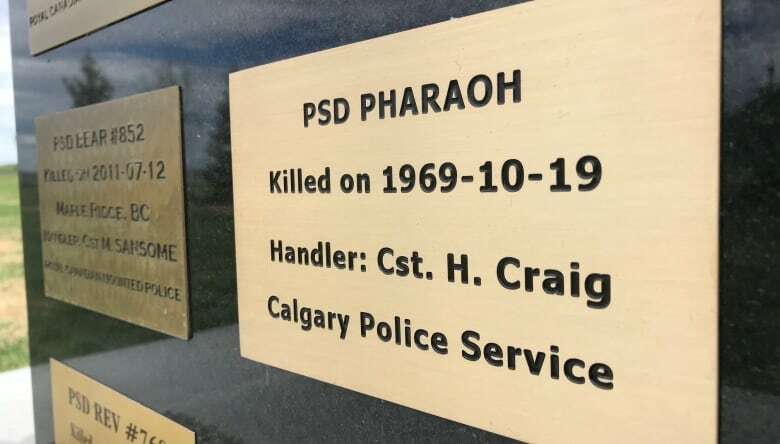 It was during a visit to the training facility that Craig noticed his dog wasn't included on a memorial wall for fallen Calgary Police Service canines. 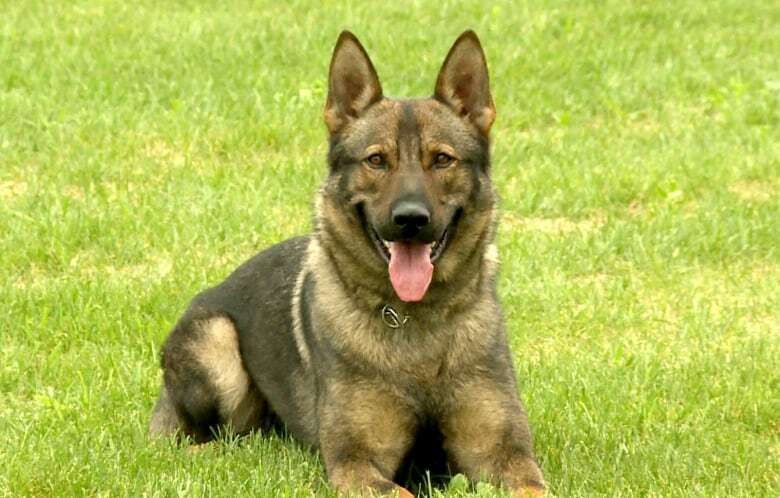 Two other CPS dogs have been killed in the line of duty: Gino and Sirk. Craig's realization triggered research efforts at the department, which led to Wednesday's plaque and memorial service. Sgt. Jim Gourley of the CPS canine unit says the effort illustrates the type of bond that develops on the teams. "It's unique. It's not like a pet," he said. "It's totally different, and to see that today, 49 years later, it's pretty cool." Craig says he experienced grief and survivor's guilt over the years but adds he takes consolation in the belated honours for his old partner. "When a dog protects you, it's very close. It's very close. It's heartfelt," he said, choking back tears. Even now, nearly a half century later, Craig says the memories were still too raw to talk about the details of Pharaoh's death. The ceremony was held in conjunction with the opening of an expansion to the RCMP training facility. Opened in 1965 as a 5.6-hectare site, it has now grown to 17.8 hectares (44 acres). The centre now breeds about 100 dogs a year — all German shepherds — which are used around the world. In 1970, there were 30 RCMP police dog teams. Today, there are 175 across the country. 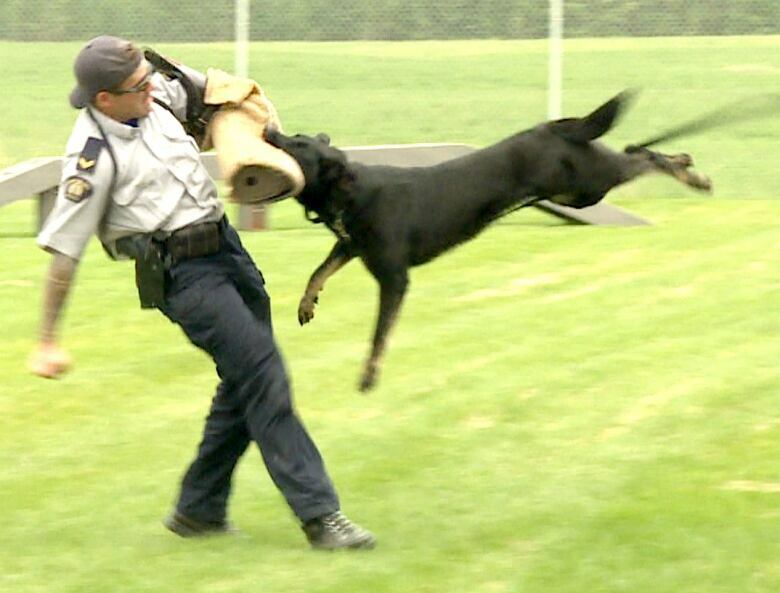 The Calgary police canine unit has 22 dogs.